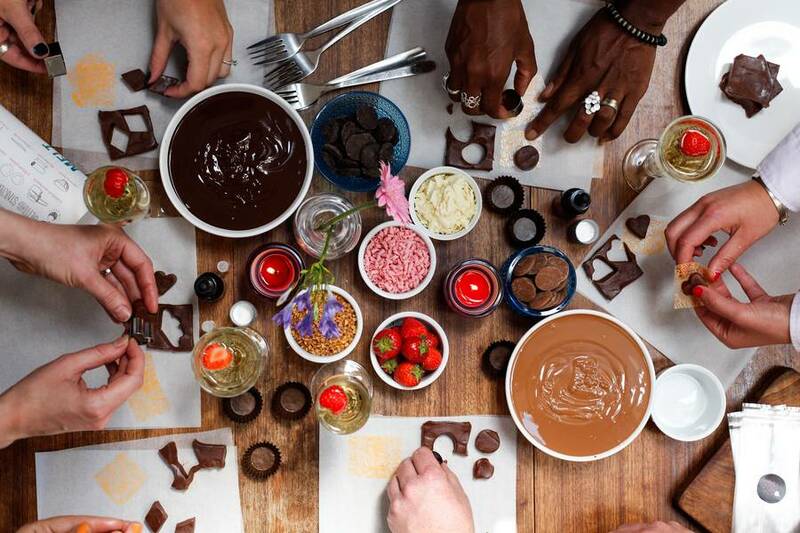 Everything you need for two hours of chocolate making fun, including specialised equipment and organic chocolate. 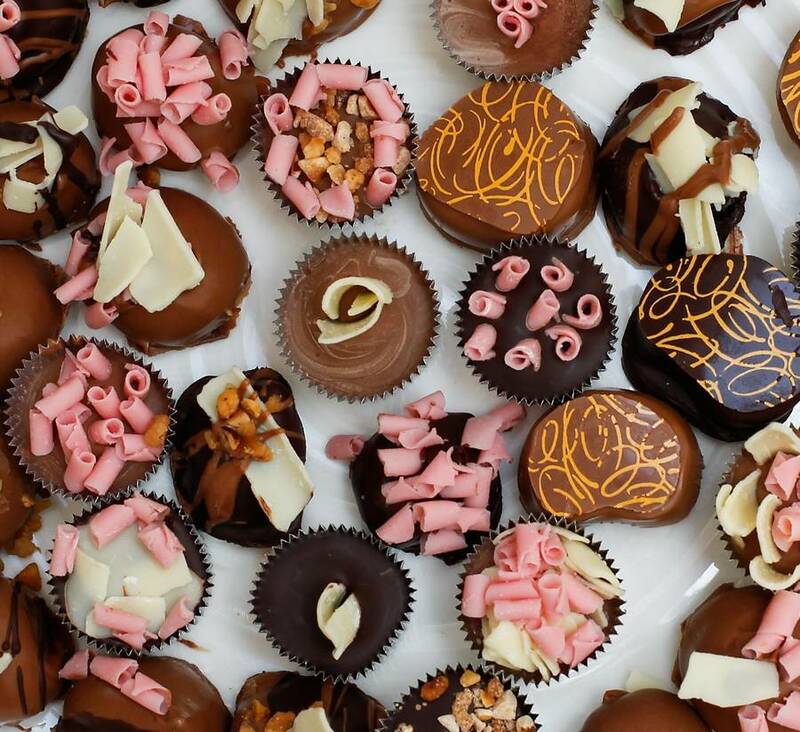 Follow simple hosting tips and recipes to make rich truffles, milk chocolate fudge and flavoured chocolate bites. 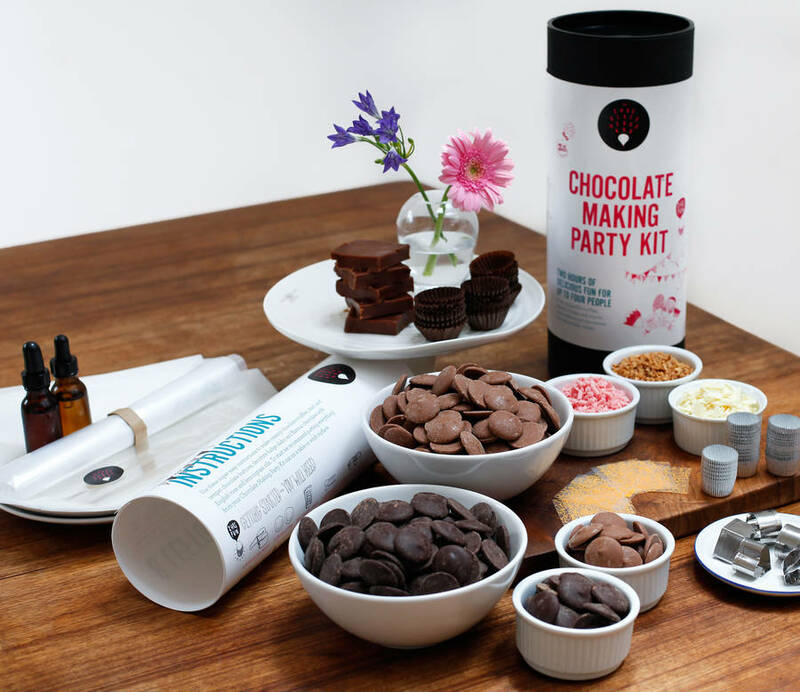 Each kit is recommended for up to four people and contains all the ingredients and equipment you need to create 15 chocolates per person - that's 60 delicious chocolates! 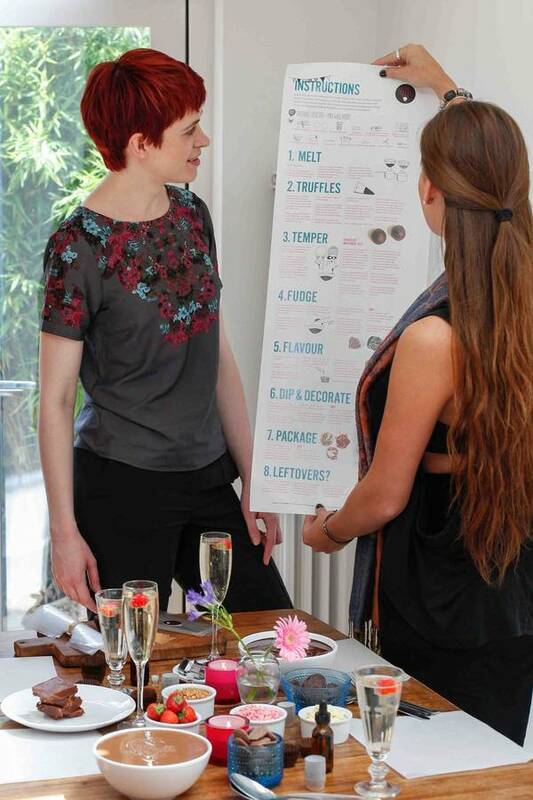 The kit includes organic milk and dark chocolate buttons, handmade milk chocolate fudge, natural rose and lemongrass flavourings, white chocolate flakes, very berry strawberry curls and crumbled carmalised hazelnuts. There's also specialised chocolate making equipment such as mini chocolate cutters, foil cases and transfer sheets to print patterns on your chocolates. 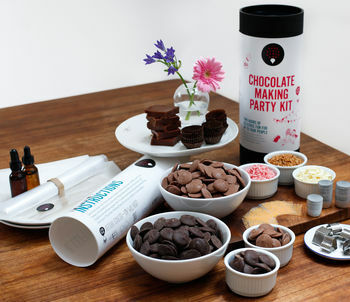 The chocolate making kit is the perfect present and a great way to spend a night in. We strive to use the highest quality ingredients. This includes organic chocolate buttons, handmade butter fudge and natural lemongrass and English rose flavourings. natural lemongrass extract (natural lemongrass flavouring, additive-free sunflower seed oil, rosemary extract); transfer sheets (sugar, soya lecithin, vegetable fat, colour E171). mini foil cases and baking paper sheets.